Megan, age 31, is the quintessential working caregiver. The Southfield resident holds down a demanding job in healthcare IT while trying to take care of her father who has Alzheimer’s disease. Megan’s work takes her well beyond the boundary of 9 to 5. She travels a lot—implementing systems and software in hospitals around the country. Her weekdays can often be a grind of airports, hotels and late meetings. When she’s home, Megan has other responsibilities to attend to. Her dad, Rudolph, 72, was diagnosed with Alzheimer’s disease last year. “I think he’s somewhere in the early to mid-stage,” says Megan. Megan’s mother, Geralyn, 60, still works as a teacher and Megan and her three siblings help their mother care for their dad, who spent his career as a truck driver after serving as a Marine during the Vietnam War. She approaches her dad’s care with the same analytic approach that she uses in her IT career. “I knew the first thing I had to do was educate myself,” she said. Megan found a class called Creating Confident Caregivers offered by the Area Agency on Aging 1-B and the Alzheimer’s Association—Greater Michigan Chapter and took it in October of 2016. “The class helped me come to terms with some harsh truths about the disease,” she said. 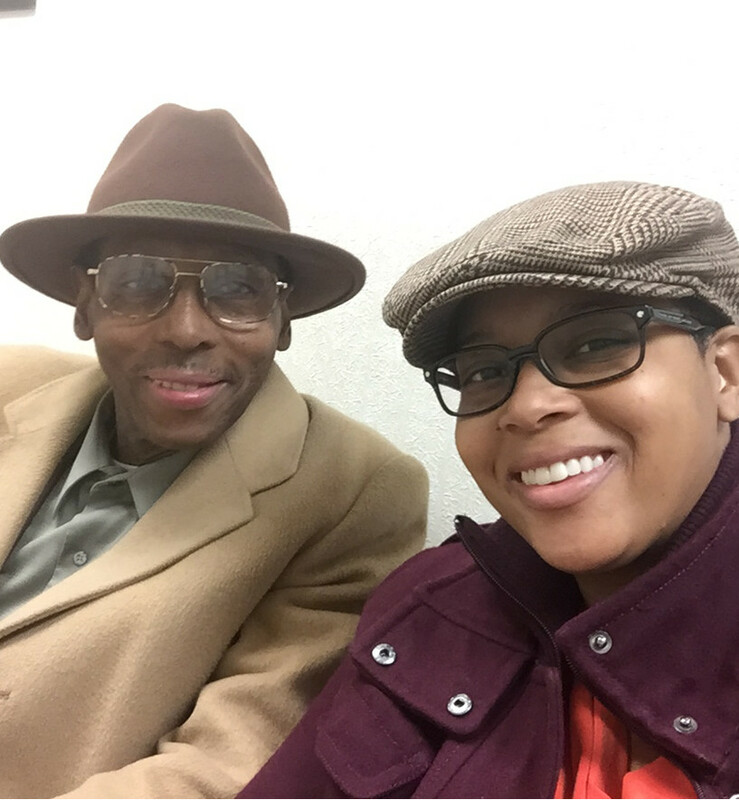 “I learned about how the disease progresses and that my dad’s abilities are likely to change. ” Megan said the class also educated her on the importance of seeking help and taking care of herself—two imperatives for anyone who is trying to care for an aging parent or loved one. Megan engaged her siblings and they work together to take care of their father. The siblings have a bi-weekly conference call to determine which family members will take him to the appointments he needs to get to or manage his other care needs. Megan is also helping her family members understand how important having outside help will be for them as the disease progresses. Having some outside care can be a critical piece to helping make sure that caregivers get a chance to regroup, refresh and take care of their own needs. The family tried an adult day center but discovered that Rudolph is not quite ready for it. “Being a caregiver has definitely had a huge impact on my life,” says Megan. She and her husband, Derrel, had even been considering giving up their Southfield residence in order to move in with her parents in Detroit, but decided to hold off a bit longer. But Megan knows that as her dad’s disease progresses, the impact on her life is likely to grow. “I imagine I might have to scale back on my career,” she said. For right now, the family is holding on and taking it day-to-day. They recently participated in the Walk to End Alzheimer’s. They walked as a team called, “I am a Marine,” which Megan says is one of the things her father always says when times get tough. Important Update: The Area Agency on Aging 1-B is no longer offering classes specifically for those caring for someone with dementia. We do offer a Powerful Tools for Caregivers class that offers many practical tips and resources for those caring for a loved one–including a loved one with Alzheimer’s disease or dementia. For more resources for caregivers, see our Caregiver Resources page to get information on adult day programs, our Powerful Tools for Caregivers classes, local caregiver support groups, our electronic newsletter just for caregivers, and our annual Solutions for Family Caregivers Expo.